2M Engineering and Domicro, specialist in Printed Electronics technology, work together in investigating the comparing printed electronics to state-of-the art, but conventional PCB technologies. The comparison includes both PCB making, component placement and assembly. For this purpose we defined a multi-sensor RFID demonstrator that we build two times. One time using printed electronics technologies and also using conventional printed circuit technology and component assembly. The technology demonstrator measures and logs temperature and mechanical shocks. This is potentially relevant to track assets during transportation. Measurements can be read using a RFID enabled smartphone. A simple display can indicate when the package was exposed to certain (too) high temperatures or shocks. The technology demonstrator contains a rechargeable battery of 0.2mm thick that powers the microcontroller. 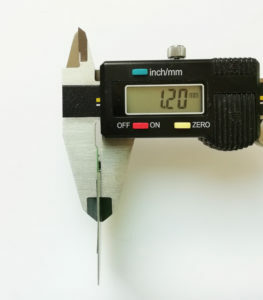 An innovative two state printed polymer screen of 0.5mm displays if the package was misused. 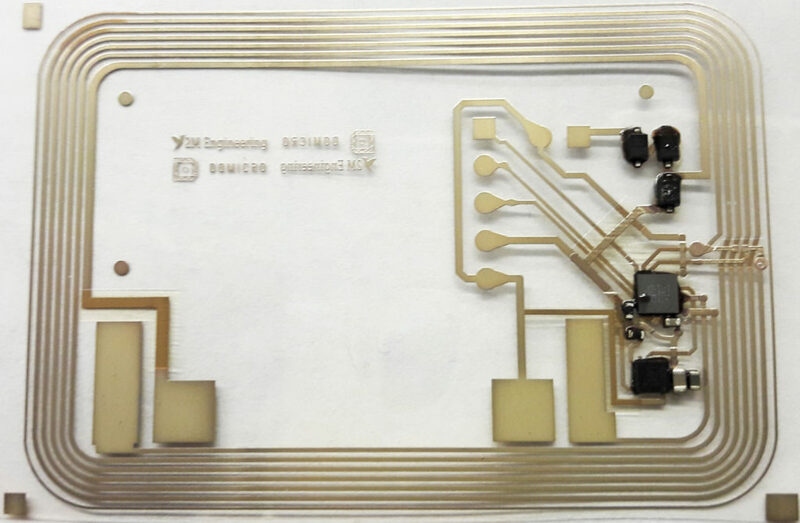 The PCB of 0.35mm thick contains the microcontroller with integrated temperature sensor, RFID antenna and accelerometer. 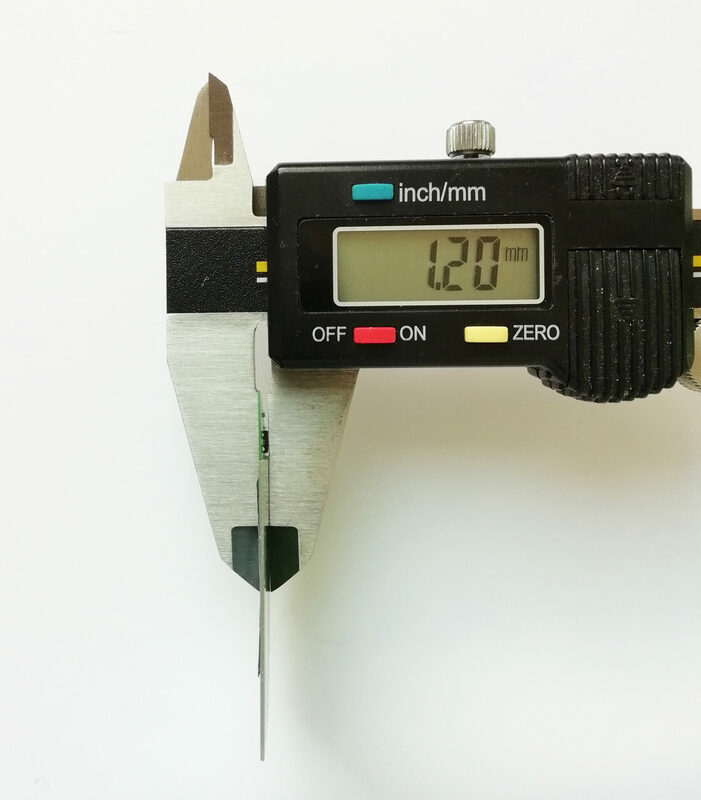 The component height is 0.5mm. 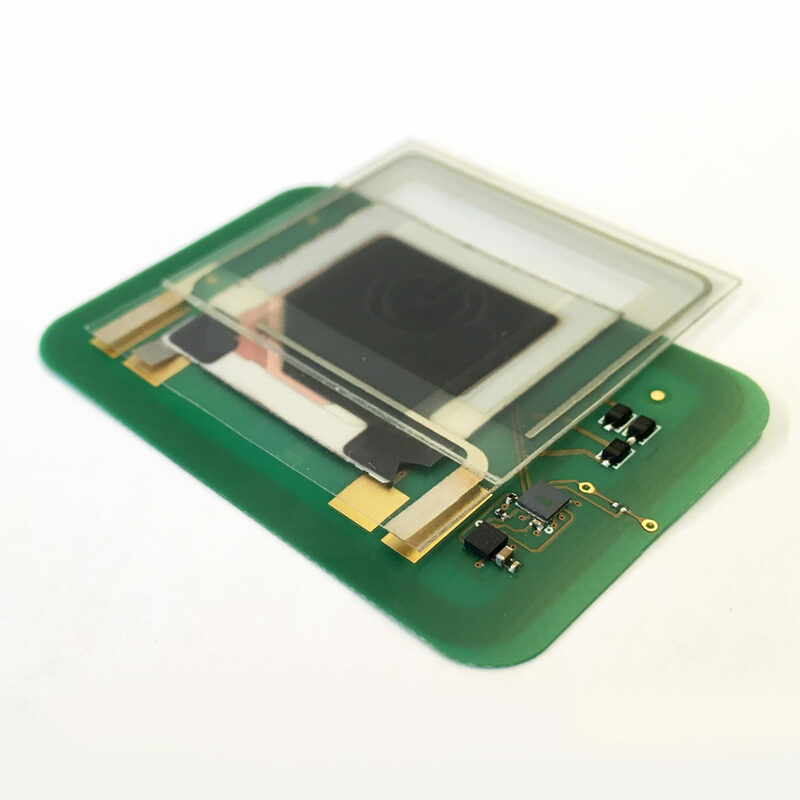 This results in an actively powered sensor including screen of 1,2mm thick. Overall size is creditcard size, mostly due to the size of the RFID antenna. Firmware has been created to demonstrate the functionality.